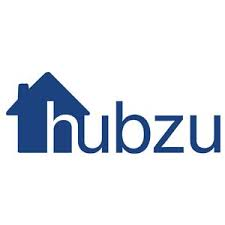 Hubzu is a real estate listing bidding website that allows buyers and sellers to list, browse, bid, and manage residential property information. This marketplace also provides property purchasing services that include financing and closing. In this article, we cover user reviews and pricing. Ready to get started with Hubzu? Register for free. Users who gave Hubzu a positive review said that the platform is intuitive and that the auction process is very straightforward. Great customer service was also consistently mentioned. One user who gave Hubzu a positive review on Reviews.io said that it is really a user-friendly platform with an uncomplicated auction process. He also liked that he can always speak with a live person whenever he needs customer support. Users who gave Hubzu a negative review said that some bids or auctions appear unusual, which they think is either a scam or an inside job. Some users who won a bid complained that Hubzu is very unprofessional in reopening auctions for reasons they don’t know, which resulted in them losing the bidding. One user who gave Hubzu a negative review on SiteJabber warned that it’s a scam and that it has an illegal business practice. He said that he was told that he won the bid and was required to pay within 24 hours. He claims that after paying, they sent him a fake contract and demanded for more money. Hubzu offers free sign-up and membership to access their property listing. Hubzu charges a technology fee of $299 upon purchase of a property. The technology fee helps cover the cost of using the platform and is added to the purchase price of the property. Ready to get started with Hubzu? Register for free. 37 Best Real Estate Software & Tools for Top Agents in 2018 — Real estate software provides agents everything from lead generation tools to video editing, expense tracking, and open house management software. To help you identify the best options, we identified the 37 best real estate software, tools, and apps on the market today. Read on to choose the right tools to simplify each sale and create top producing agents. What type of properties are marketed in Hubzu? Hubzu markets residential properties that are short-saled, foreclosed, and bank-owned. The sellers decide on the length of the auction. They can set the duration of the auction when they add the listing. Sellers can choose from 14, 21, or 28 days. Not sure if Hubzu is the right fit for you? 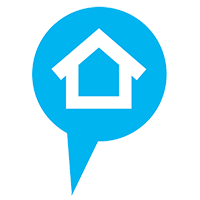 Read our reviews of all top real estate listing website providers or check out one of these three Hubzu competitors.